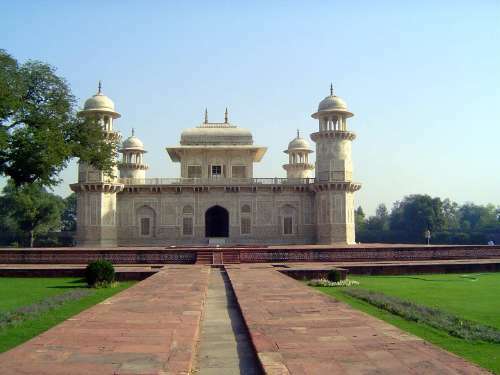 Itimad-ud-Daulah is not a man's name. It's a title: Lord of the Treasury. 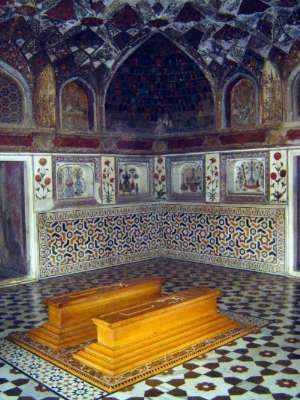 The man was Mirza Ghiyar, father of Nur Jehan, who was Jehangir's wife and grandfather of Mumtaz Mahal, Shah Jahan's wife. 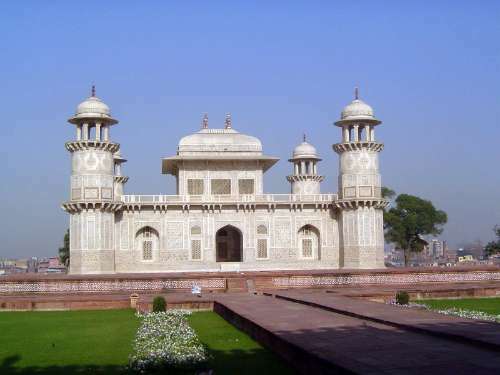 The tomb was built by Nur Jahan, who herself is buried near Jahangir in Lahore. 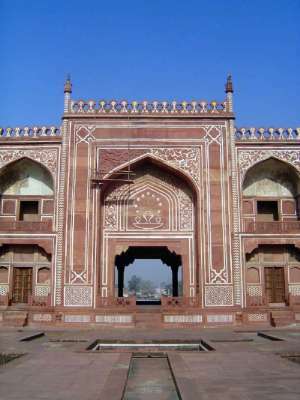 The entrance gate. 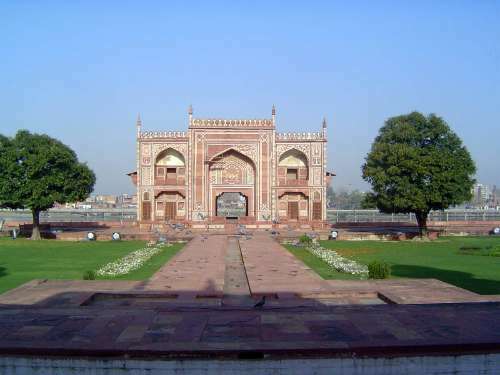 Beyond is a square enclosure laid out in four quarters, with gates approximately like this one at each side and with the tomb proper at the center. 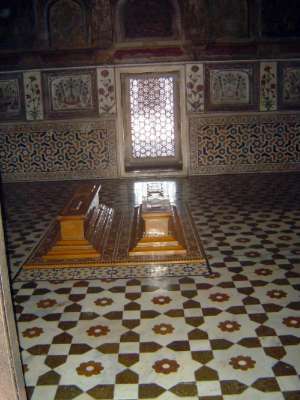 The white marble mausoleum. Water no longer runs in the channel. 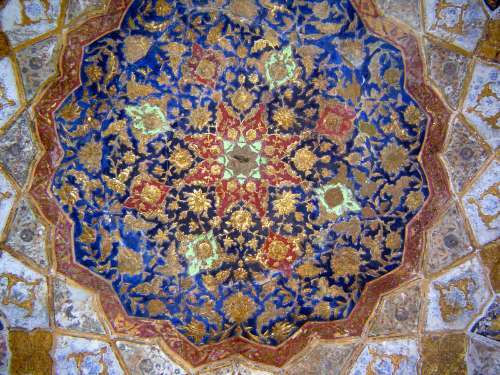 Unlike the Chini-ka-Razah shown in the next folder, this tomb fuses Persian and Indian elements. 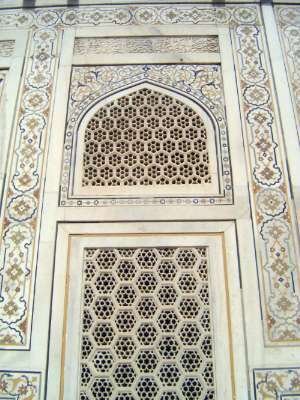 Each side has three entrances, though the side ones are blocked with jalis, or carved screens. 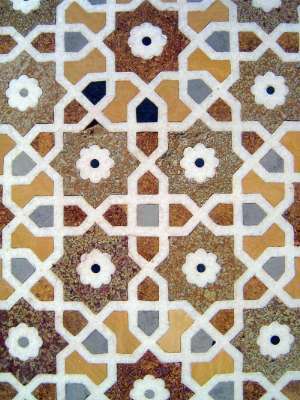 Close-up of a jali with surrounding inlay. 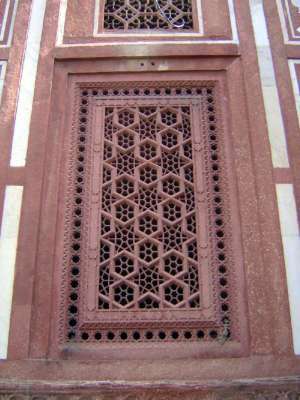 There are several tombs in the building. 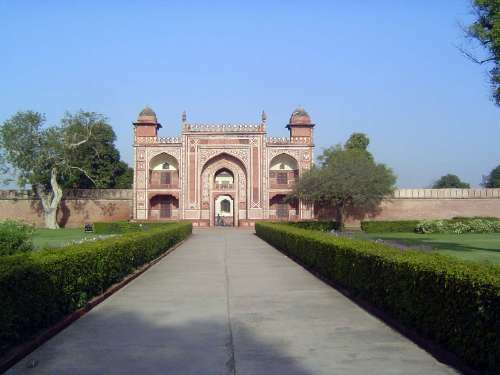 The two here at the center are of Mirza Ghiyar and his wife, Asmat Begum. 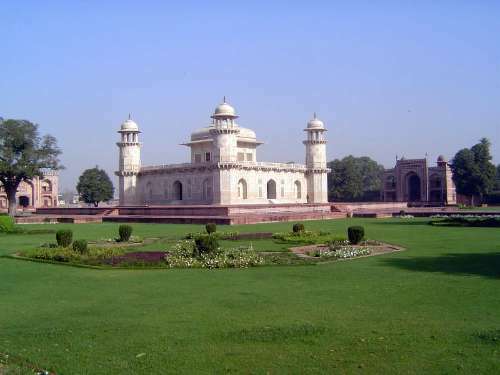 Her cenotaph, though slightly smaller, is at the precise center. 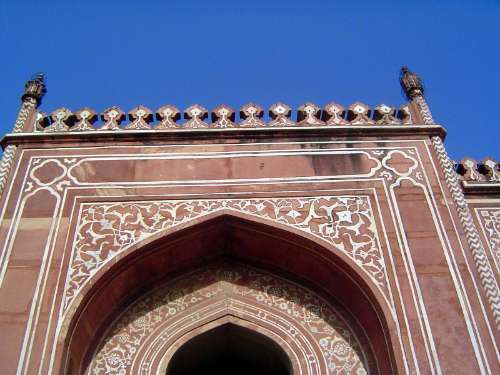 A view capturing the walls and ceiling decoration. 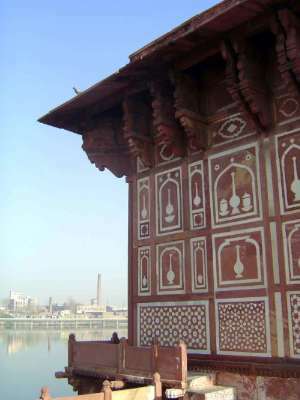 This is the fourth gate, not actually a gate but a pavilion overlooking the Yumuna RIver. Roof brackets. 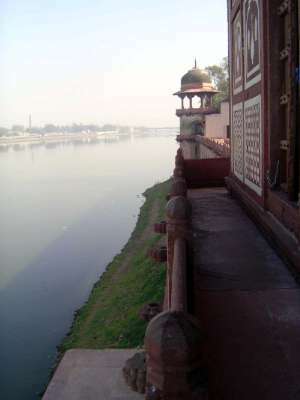 That's Agra across the river, the Taj is downstream on that side just a bit.